Beef, the way Italians do it. 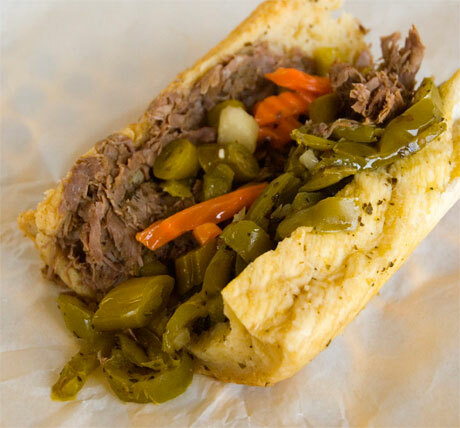 The classic, featuring lean, domestic roast-beef top round, perfectly spiced and thinly sliced for Chicago style Italian Beef sandwiches. 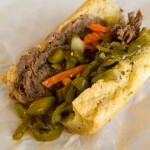 Also commonly known as a French dip when paired with Vienna’s Original Italian Gravy. We recommend adding sweet peppers, or spicing things up by piling on some authentic giardiniera, a blend of hot peppers, olives, carrots, celery and spices in oil. Let your order-taker know which way you prefer it. "DRY": Very little gravy. "WET": We splash a bit of gravy on the sandwich. 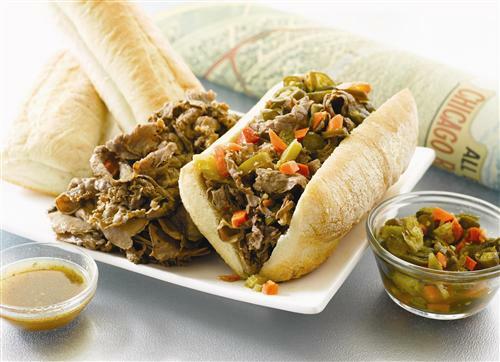 "DIPPED": We dip the sandwich in the gravy. 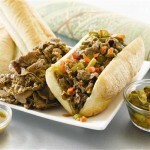 "DOUBLE-DIPPED": We submerge the sandwich in the gravy.